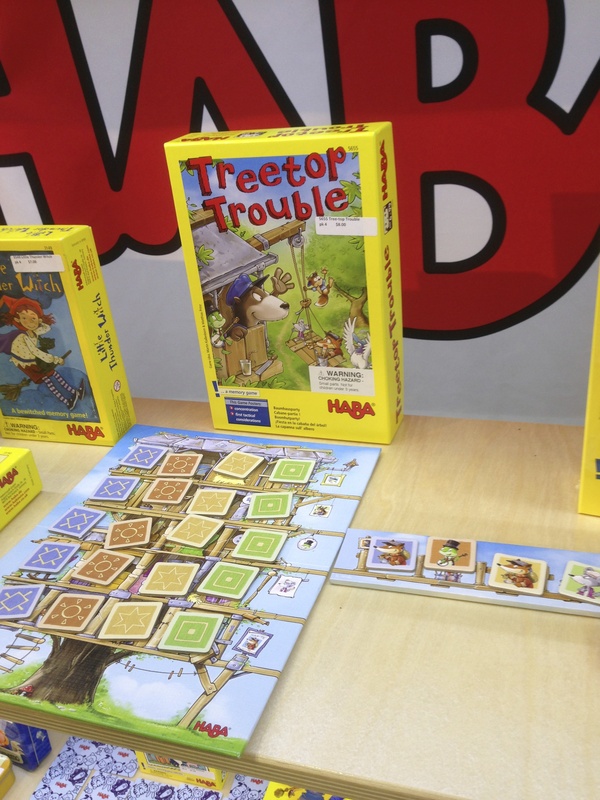 The Haba booth was jam-packed full of games and a ton of their other products. I snagged a wonderful young woman who was most enthusiastic to describe just about every game Haba had to offer. Unfortunately due to time constraints I only had her explain some new, 2013 releases. 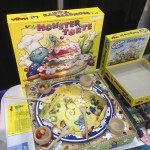 Monster Torte: A fun dexterity game where the box is also the play space. 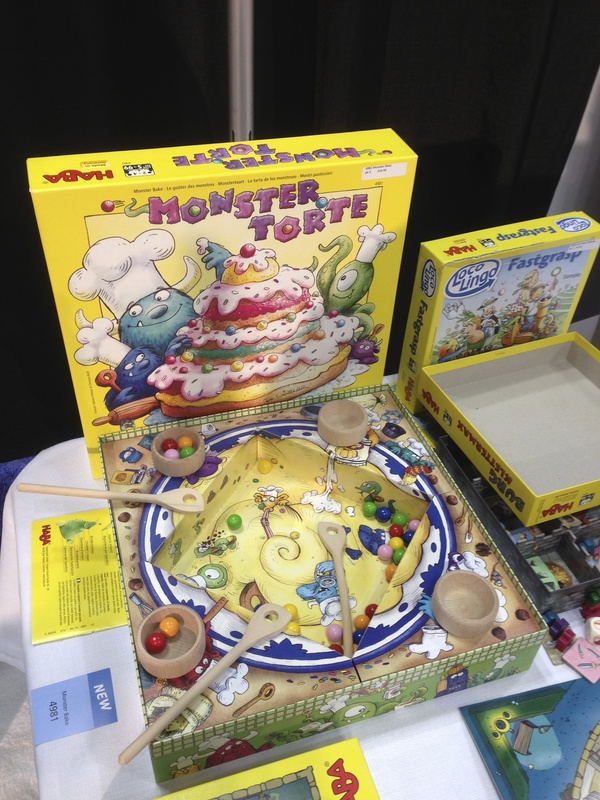 A card is drawn showing a pastry with different colored candy toppings. Players much race to get matching colored balls out of the box and into their bowls using only a wooden spoon with a hole in it. First to collect all the right balls wins the round. Frantic and fun. 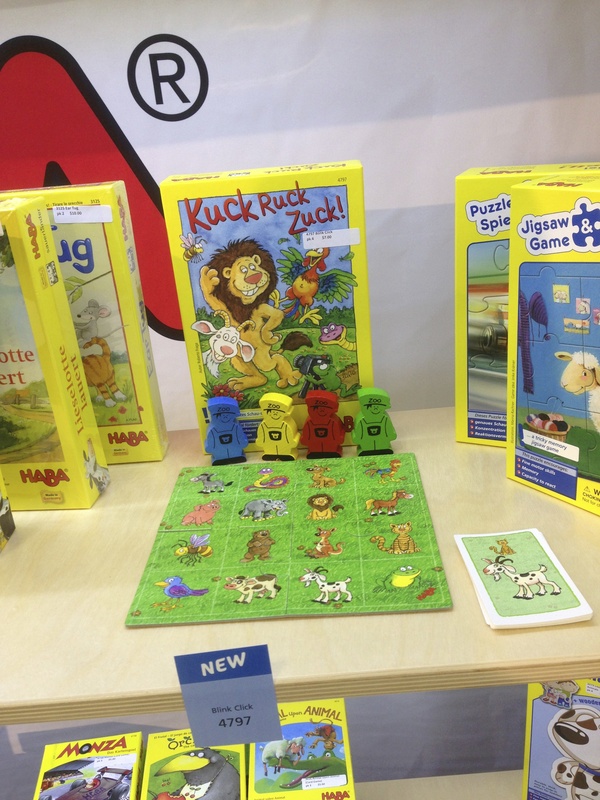 I lost horribly to the Haba PR rep. 2-4 players, ages 8+. Secret Code 13+4: Players are secret agents trying to break into a museum. By rolling dice you can use addition, subtraction, multiplication, or division to match the number that stands between you and the next space on the board. 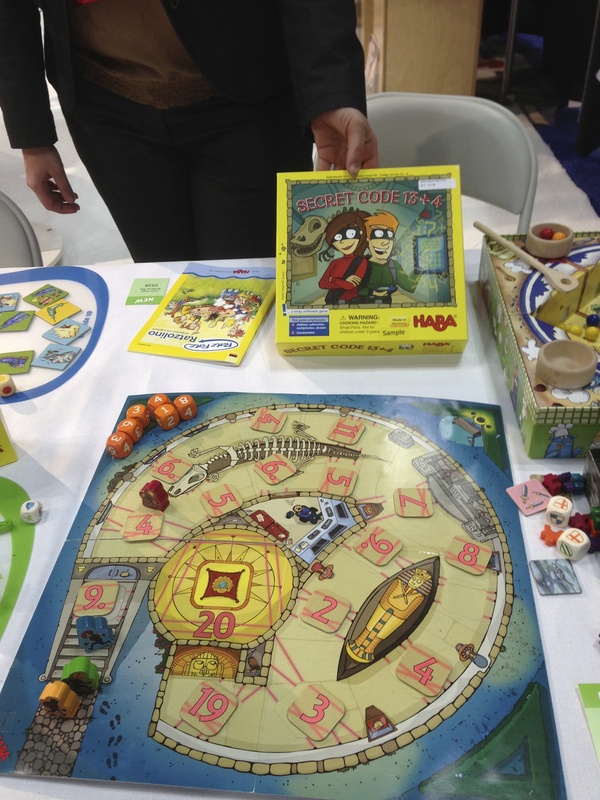 A great game for math skills, and a ton of fun. 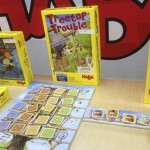 2-4 players, ages 8+. 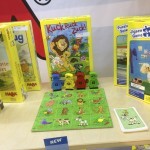 Blick Click: Seen in the gallery as Kuck Ruck Zuck, Blink Click is a game about perspective. In the game you’re trying to find out where a photographer is taking a picture from by using cards showing the perspective of the photographer. A large elephant with a farther away kangaroo in the background? The photographer must be the donkey! 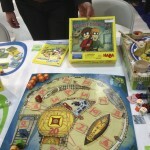 2 -6 players, ages 6+. This is a great good new game.